Spark imagination with faith-building fun! Venture onto an uncharted island where kids survive and thrive. Anchor kids in the truth that Jesus carries them through life’s storms. 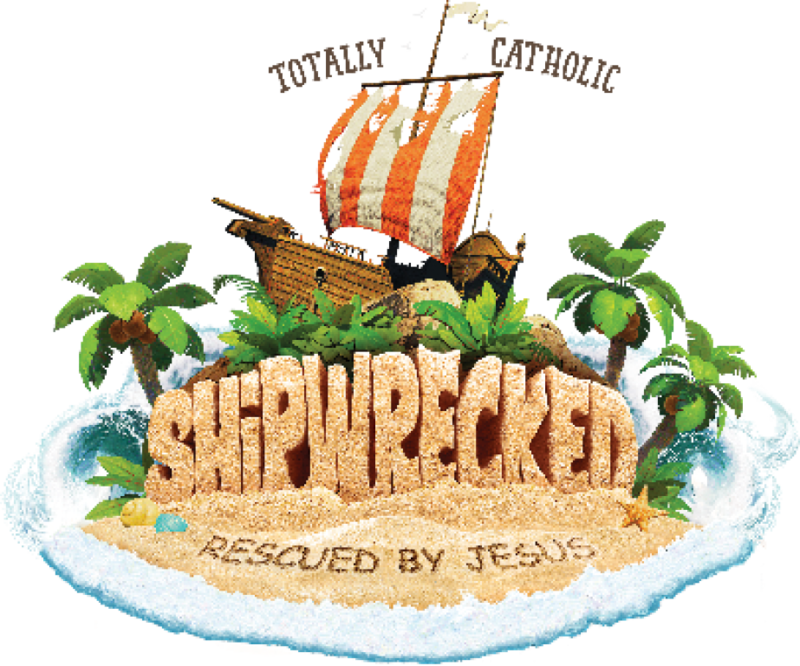 Shipwrecked VBS will transform our parish into a place buzzing with excitement! St. Martin of Tours will be hosting our 6th annual Vacation Bible School, July 30 – August 3. Campers report to the narthex by 9am daily and are ready to depart at noon. Each day at Shipwrecked VBS, kids travel through field-tested rotations that reinforce relevant Bible Points and immerse kids in new adventures. We will have a fun time making new friends and creating memories. All campers receive a camp shirt and snack daily during their stay with us. They will go home with a newfound love of Jesus and some great stories to share of the friends they made and the fun they had. At the end of VBS, we invite parents and grandparents to a closing celebration to see more of what our week looked like. All students entering K4 – 4th grade are encouraged to register (non-parishioners are welcome too!). Registration will be $50 per camper. Families of two or more campers are charged $90. We need adult and youth (high school age) camp volunteers for this to be successful. Please contact Michelle Kreuser if you are able to join our crew! We have a variety of needs to fit what you are able and interested in. We have a need for a variety of talents. If you want to help and are not able to volunteer your time, please consider a monetary donation.